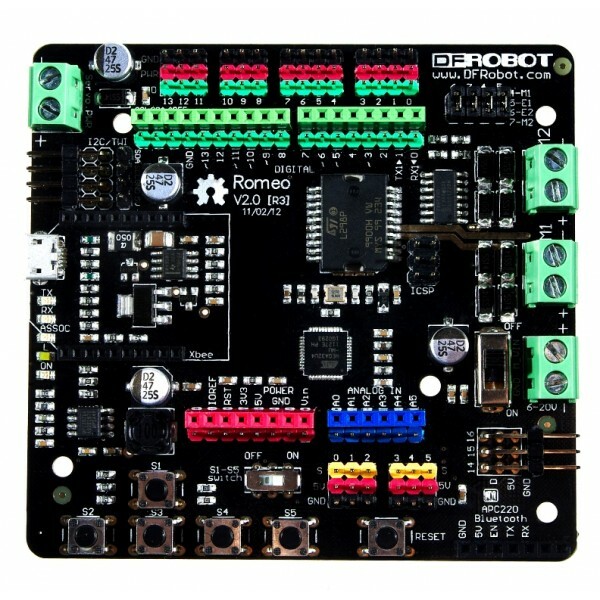 The DFRobot All In One Controller V2 combines a robot brain and brawn together onto a single Arduino compatible board. The brain is an Arduino Leonardo compatible ATmega32u4 microcontroller. The brawn is a powerful motor driver. This controller has been specifically designed for controlling your robot project. 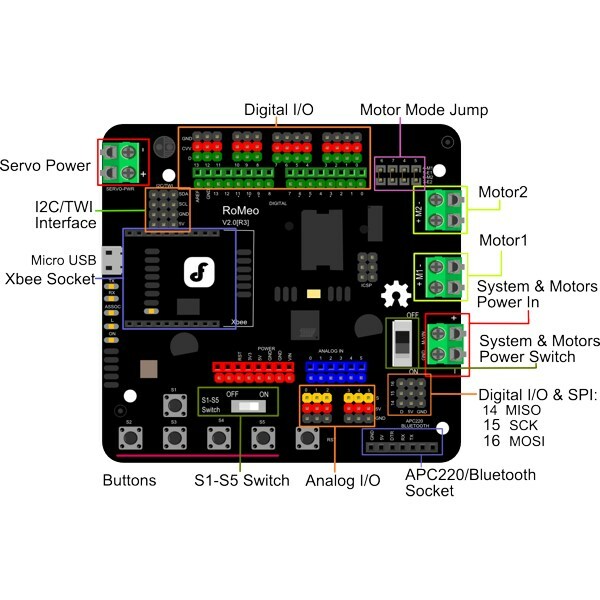 It has a flexible power supply with separate external power inputs for motors and servos. The motor driver can drive two DC motors with up to 2A of continuous current each. A collection of extra headers make it easy to connect servos, sensors and other modules while a full Arduino R3 pin mapping keeps it compatible with standard Arduino shields. There are three connectors for I2C/TWI, connectors for SPI, an APC220 socket for attaching a Bluetooth module and an XBee socket for attaching ZigBee and other wireless modules. A set of five user buttons is provided for selecting program options and other purposes. Please note that this board is a bit larger than the typical Arduino compatible microcontroller. 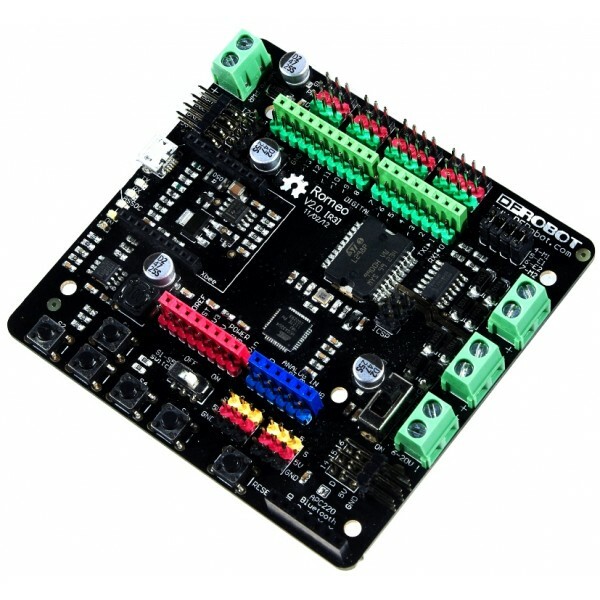 However, it does support standard Arduino Shields and is fully compatible with the Arduino IDE and a universe of Arduino source code.